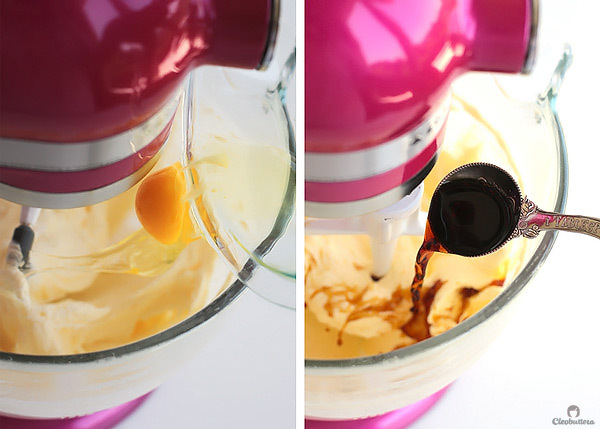 Adjust the oven rack to middle position and preheat the oven to 350F/180C. 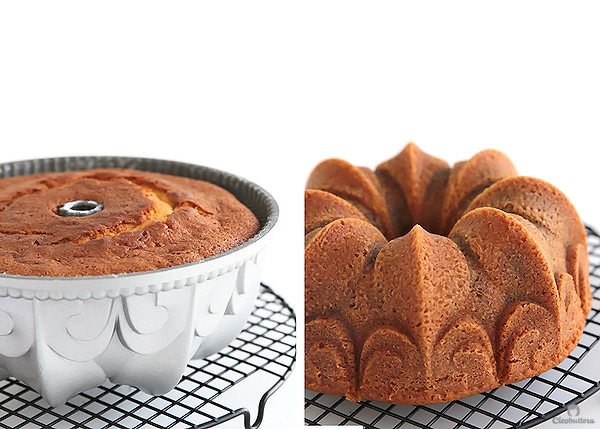 Butter and flour (or generously spray with a non-stick cooking spray) a 10-cup bundt pan (*see note). 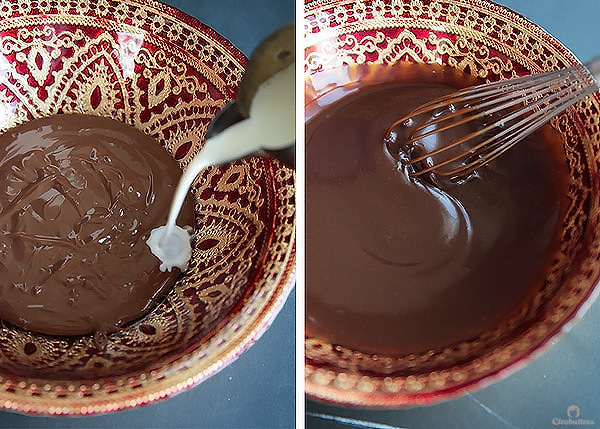 In a small microwave-safe bowl, combine together both chocolates and heat in the microwave, stirring every 15 seconds, until almost completely melted; about 1½ minutes. 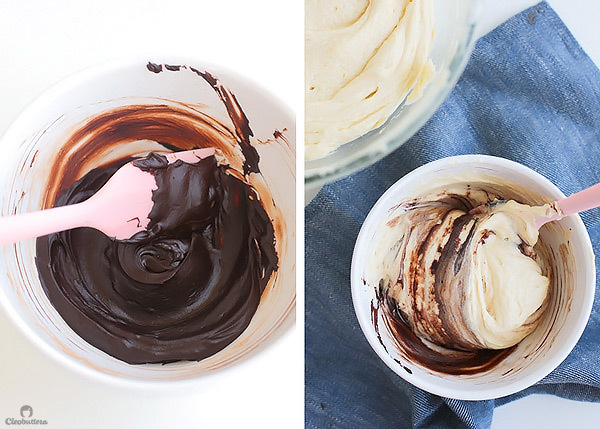 Allow the ganache to cool a bit, until it mounds slightly before smoothly disappearing; about ½ an hour. 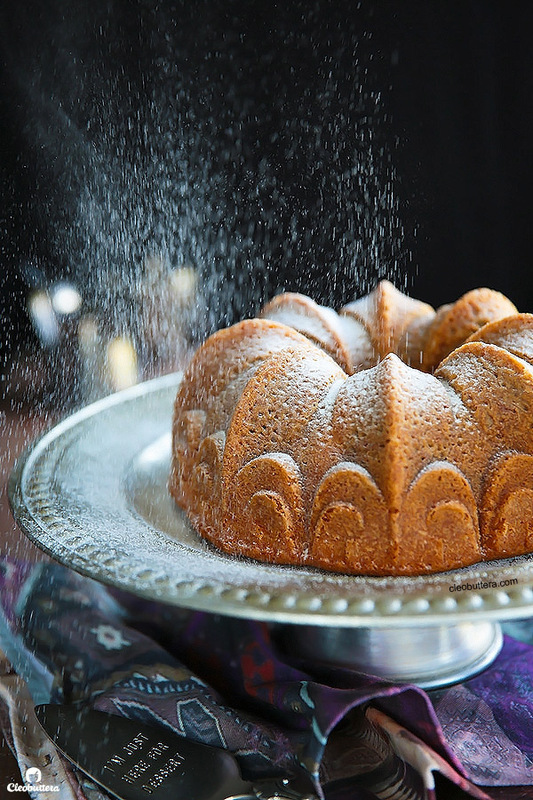 * Cornstarch is used in combination with the all-purpose flour in this recipe to imitate the results of cake flour, which produces a finer and more tender crumb. 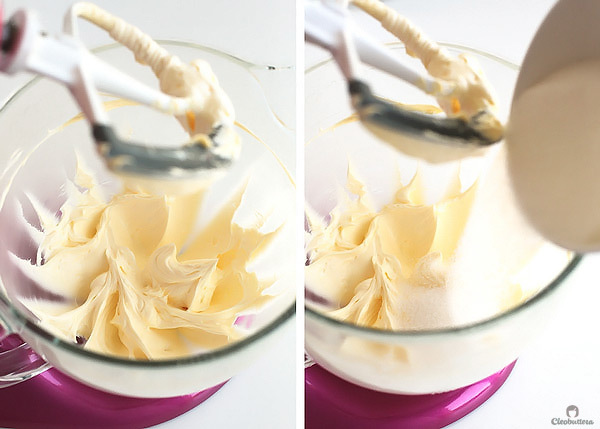 Cake flour could be hard to find in some areas, so this trick works like a charm. 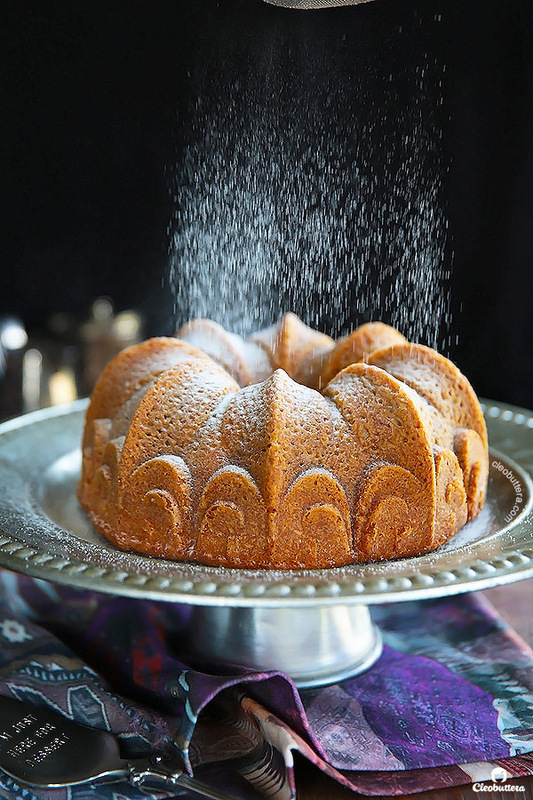 If you have cake flour on hand, by all means use that instead of the all purpose flour/cornstarch combo. 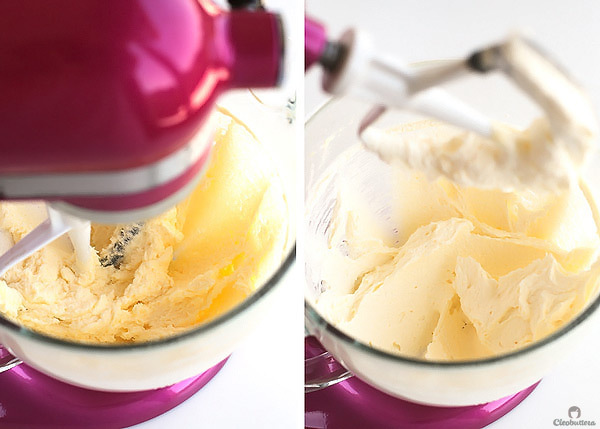 You will then need to use a total of 2½ cups (8.7oz/ 250g) cake flour. 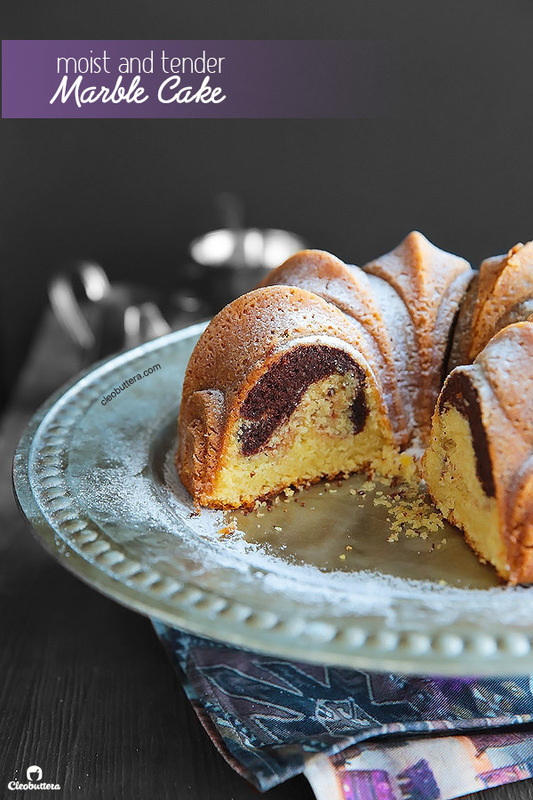 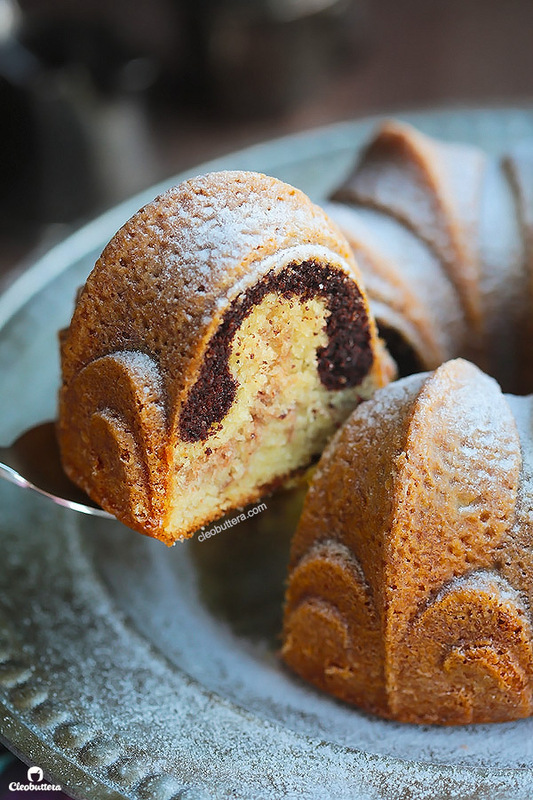 *A larger bundt pan maybe used, however it may bake faster, so check earlier than the suggested timing for doneness. 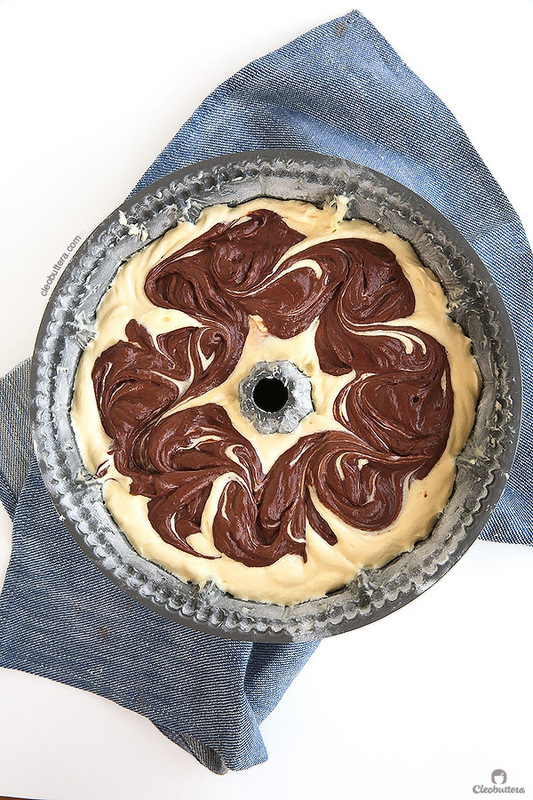 Although I haven't tried it myself, but I believe that this recipe will work just fine divided between 2 loaf pans. 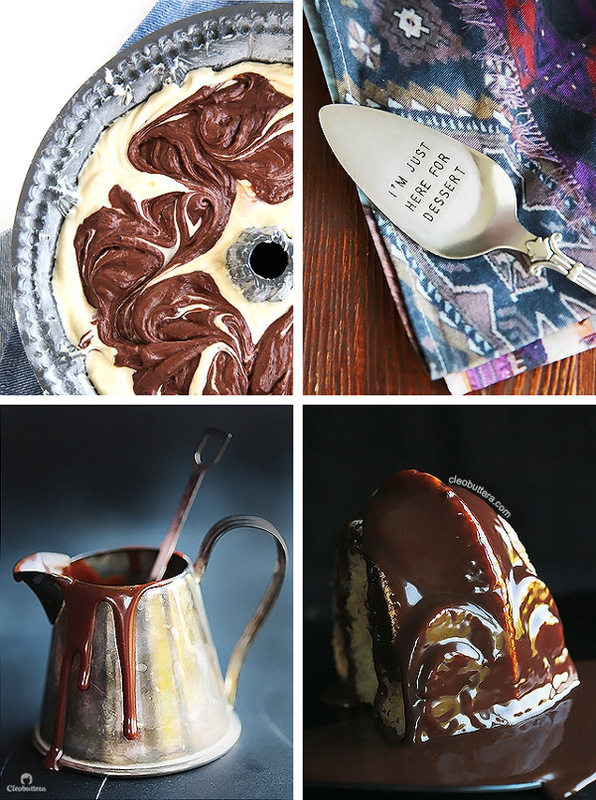 *To create a more layered marbling effect, that is more mixed in with the vanilla batter, so you get both the chocolate and vanilla in one bite, alternate between batter layers. 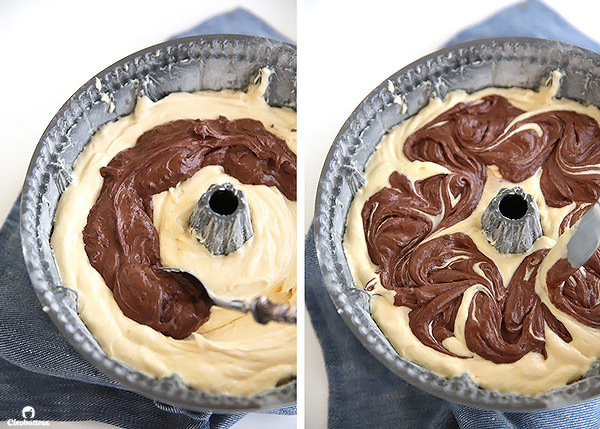 Start by filling the bottom of the pan with ⅓ of the vanilla cake batter, followed by ⅓ of the chocolate batter, then cover with another third of the vanilla batter, then another third chocolate, the remaining vanilla then finishing off with the chocolate. 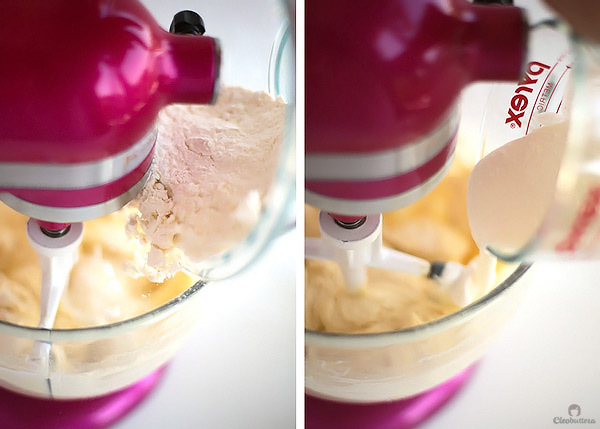 Using a butter knife, swirl together in an 'S' shaped motion, but don't over do it. 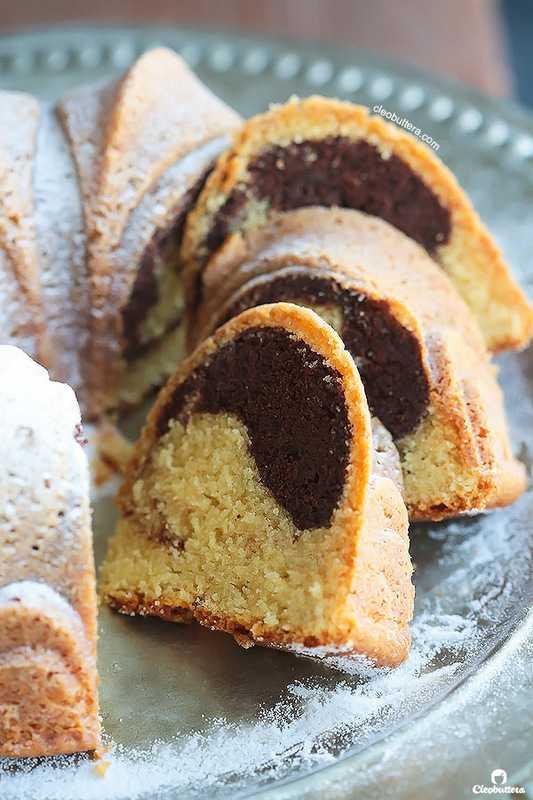 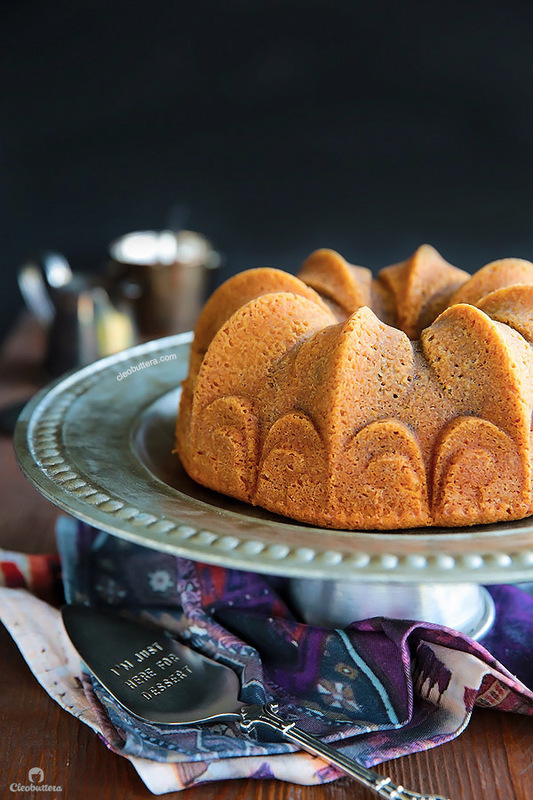 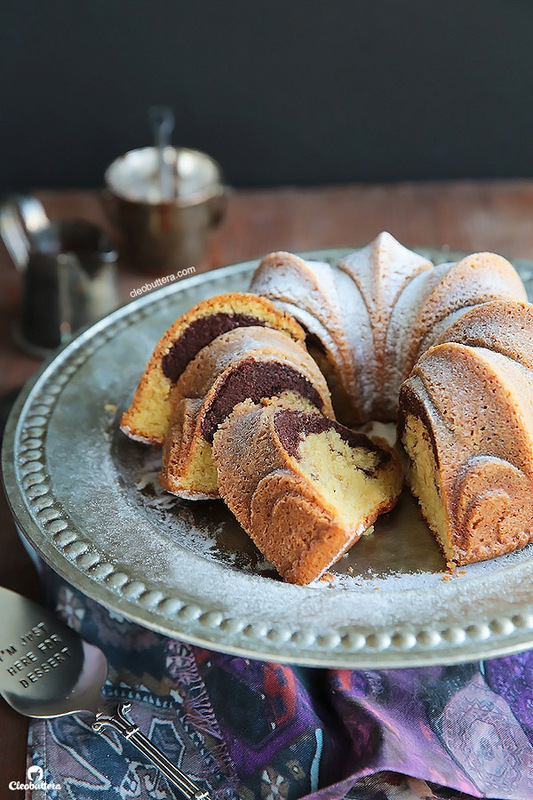 *The beautiful bundt pan that I used is called Fleur De Lis byNordicware. 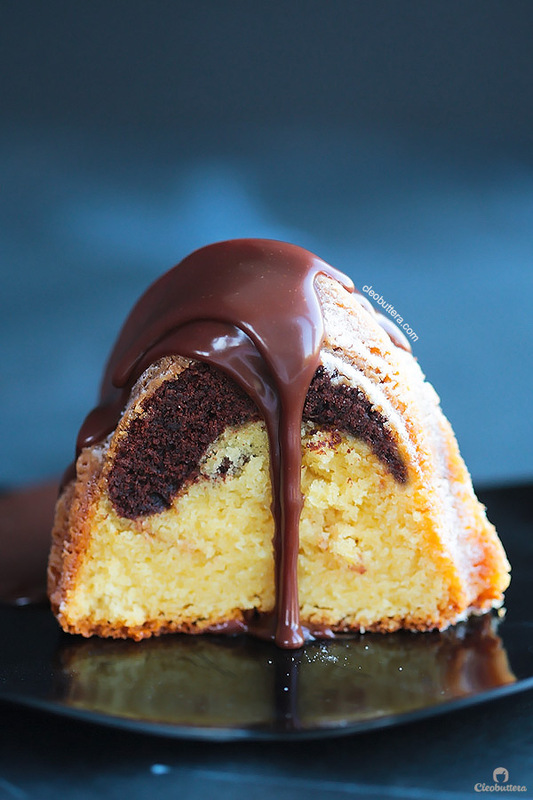 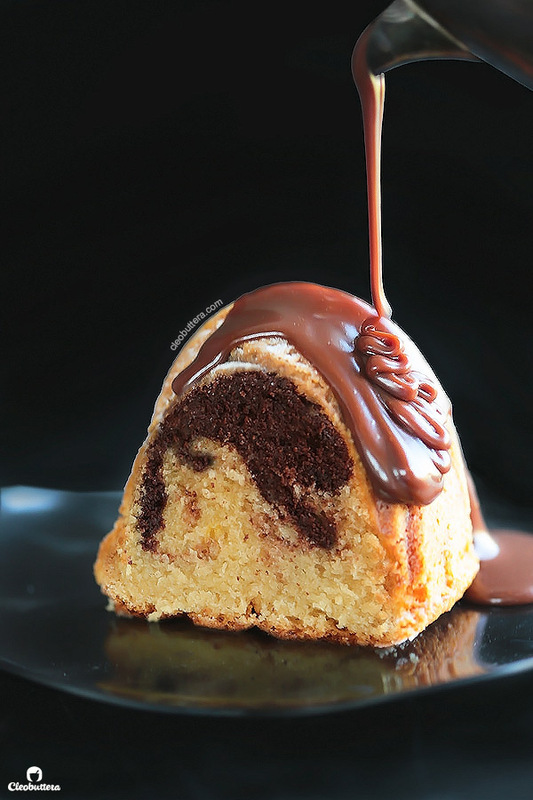 0 Response to "Moist and Tender Marble Cake"